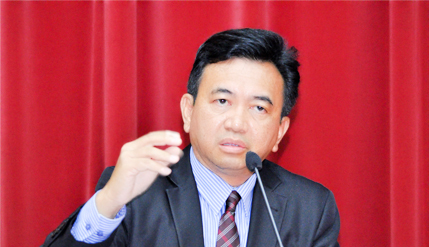 KUALA LUMPUR, 12 June 2014 – Doctors must learn to deal with potential variations in emerging diseases and patients’ physiology brought about by the anticipated return of the El Niño climate effect in September. The National University of Malaysia (UKM) Deputy Vice-Chancellor (Research and Innovation) Professor Dato’ Dr Mazlin Mokhtar said El Niño will cause higher tempratures that would encourage the breeding of some insect carriers of tropical diseases that would infect even more people. Launching the one-day Medical Undergraduates Annual Scientific Research Meeting (MUASRM) 2014 at the Medical Faculty here, Prof Mazlin said there is even the possibility that tropical diseases that have been eradicated or brought under control would make a comeback with a vengeance and spark off a pandemic. He was concerned that the human body would also respond differently to medical treatment that might make it more challenging for doctors to bring diseases under control. The El Niño effect has the potential to play havoc on weather systems across the globe, causing heavy rain and mudslides in some areas, drought in others and disrupting the marine food chain. Climate Change would have an impact on tropical diseases and doctors must be ready to face such an eventuality. He advised medical students who will be graduating soon to be more sensitive to the needs of patients and become true Guardians Of The Nation. Prof Mazlin said as Malaysians become better educated and more sophisticated, they would demand better doctors. Doctors should be sensitive to the needs of patients and communicate with their families and friends. Prof Mazlin also disclosed that the UKM management is thinking of bringing the Dental, Pharmacy and Health Sciences faculties to the UKM Hospital in Cheras. “Maybe we should set up a Medicalpolis in Cheras sometime in the future like the ones in developed nations where we can do research,” he said. He also suggested that medical officers should do more to device medical products and pharmaceuticals that can be marketed. At the moment, only 25% of the products given to the private sector by universities are utilised while the remaining are just thrown away. We need to change this model, he said. He suggested medical professionals to work together with researchers in companies right from the beginning. Some 200 final year medical students from all public universities took part in the meeting which has been held annually since 2009. It is organised entirely by UKM students with participants organised into groups where each group is given the opportunity to choose the type of research which they are interested in, ranging from pre-clinicals to clinical aspects of medicine, while developing their skills in communications.